Next Wednesday (June 17) an elaborate production will take place in front of the State House, when a 220-year-old time capsule will be cemented into the building’s cornerstone for the third time. The pomp and circumstance, featuring remarks by Gov. Charlie Baker and Secretary William Galvin, will culminate with a traditional Masonic cornerstone ceremony officiated by Harvey Waugh, Grand Master of Masons in Massachusetts. The ceremony will be similar to ones that would have been performed in 1795 and 1855 at the capsule’s previous dedications. 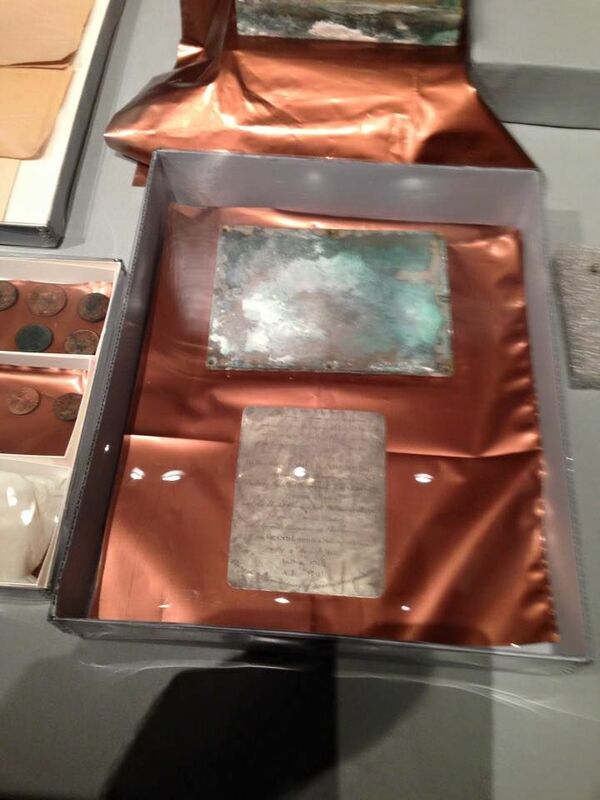 Relics from 1795 and 1855 will be sealed back inside the granite block, including coins, newspapers, and an engraved plaque. Mementos from 2015 will be added and a list of contents will be read at the event. A Clydesdale-drawn “brewer wagon” will bring a replica cornerstone up Park Street at 9:45 a.m. Around 400 schoolchildren will be assembled on the State House lawn to take part in the festivities. Music will be provided by two bands from two different eras — a colonial fife and drum group and the Northeast Italian Band. Patriotic hymns will be sung by the 215th Army Band Vocal Quartet. The action will move up the building’s front steps as the ceremony takes place on a landing at 10 a.m. Members of the Ancient & Honorable Artillery Company will line the rest of the stairs up to the portico, where state legislators will assemble. The capsule was originally placed by Gov. Samuel Adams, Paul Revere and William Scollay in 1795. Revere was head of the state’s Freemasons with Scollay as his deputy. That began the involvement of the Massachusetts Grand Lodge, which continued when the box was rededicated in 1855 by Gov. Henry Gardner and Grand Master Winslow Lewis.